FuXion Prunex 1 - Optimal Intestinal Transit! PRUNEX1 is a Fruit beverage made from a mix of soluble fibers and plums, which represent an effective alternative when experiencing constipation, promoting the colon’s detoxification. Promotes the regularity and optimal functioning of the digestive system, as well as the proper purification of the intestine. 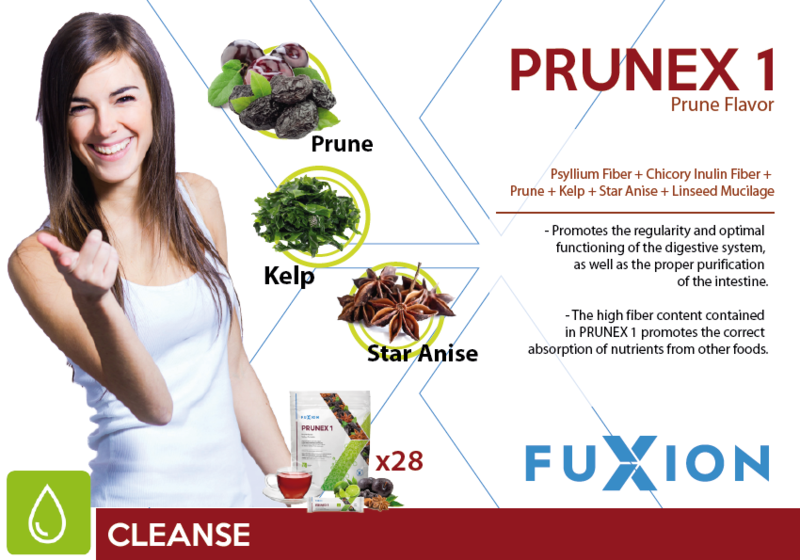 The high fiber content contained in PRUNEX1 promotes the correct absorption of nutrients from other foods. 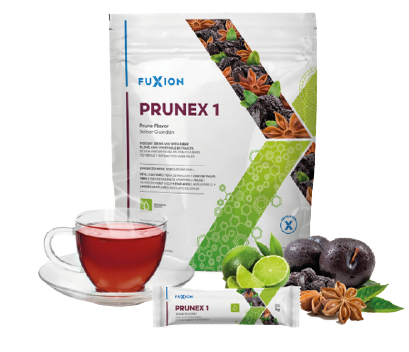 Fuxion Prunex1 Delicious prune and plum mix flavored tea, easy to dissolve, with effective ingredients for optimal intestinal transit.